The latest advancements in slimming formulations and massage techniques shine in Phytomer's new, professional spa contouring protocol. ...a 60-minute treatment combining two new pioneering professional products with a breakthrough manual technique for unprecedented contouring and silhouette-sculpting results. Available in select spas in the United States. Phytomer introduces MORPHO DESIGNER Perfect Contour Treatment, a 60-minute treatment combining two new pioneering professional products with a breakthrough manual technique for unprecedented contouring and silhouette-sculpting results. The Marine Immersion phase, including Sea Mist and aromatherapy inhalation invites the client to relax, after which a Triple Body Exfoliation is performed, featuring Phytomer’s exclusive product, SILKY MULTI-EXFOLIANT. This creamy, no-rinse scrub contains glycolic acid, papain exfoliating enzyme and a mechanical exfoliant duo of black sand particles and fine pumice stone. This showerless professional exfoliant simply brushes away after application, leaving skin soft, smooth and primed for the contouring massage. Designed in collaboration with the Center for International Training and Phytomer’s consulting osteopath, Dr. Molto, the contouring massage is an exclusive, rhythmic massage with alternating pressure and stretching to stimulate the skin. This active massage is performed with SHAPING CONTOUR BALM, a lightweight, citrus-scented cream that melts into the skin, delivering active ingredient ADIPO-3 to the very heart of fat cells to dislodge excess fat stores and sculpt the contours of a dream body. Enhanced with golden pearls, SHAPING CONTOUR BALM strengthens the skin and leaves the body polished and lustrous. Phytomer exclusive techniques performed throughout the treatment promote a sense of balance and well-being to rejuvenate the body and reveal its integral beauty. MORPHO DESIGNER Perfect Contour Treatment will be the featured body treatment in the Phytomer USA Relaxation Suite at the International Spa Association’s ISPA Convention & Expo, October 19-21, 2016 in Las Vegas, Nevada. 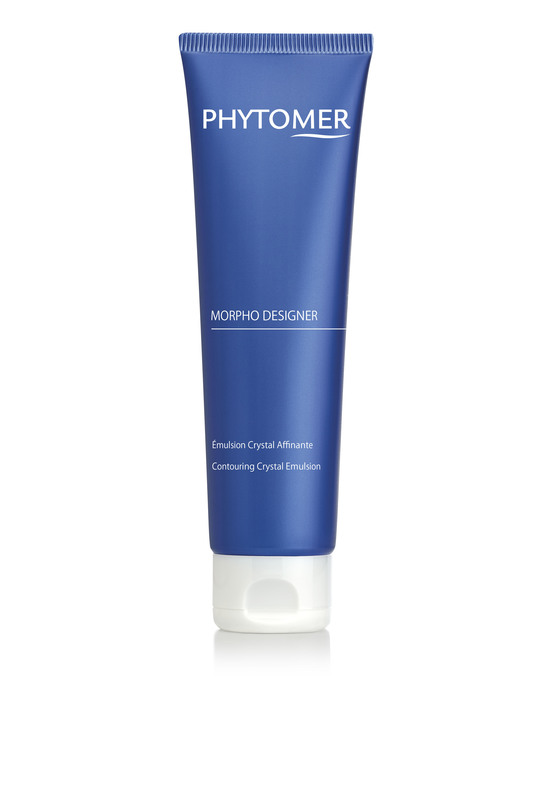 In additional to in-spa treatments, optimal slimming results may be achieved with daily use of MORPHO DESIGNER Contouring Crystal Emulsion, a luxurious retail version of SHAPING CONTOUR BALM, available in select spas and at http://www.lespausa.com. *Satisfaction test on 23 women who received 1 treatment. **Average on one third of the volunteers who had the best results after 3 treatments. For more information regarding this treatment please contact Alisha Racker at aracker(at)phytomerusa(dot)com.